The Porshe avoided several obstacles, including a dog and a bike, as it drove in a straight line to demonstrate the AI-powered object recognition technology in the phone's camera. China's Huawei used the artificial intelligence capabilities of its flagship Mate 10 Pro phone to drive a sports car as the Mobile World Congress got underway in Barcelona Monday, in what it said was a world first. The tech giant said it was "the first mobile device manufacturer in the world to use an AI-powered smartphone to drive a car," saying the technology was able to distinguish between thousands of different objects and thereby able to avoid any collision. Huawei said the test was only designed to demonstrate its phone's AI capabilities and did not plan to develop a new driverless car. "The smartphone totally controls the vehicle, we did not do anything except for steering elements," said Arne Herkelmann, who heads Huawei's handset portfolio in Europe. "The camera sees that there is something on the road, recognises what it is and acts to avoid it, we trained our AI to be able to recognise a road and its possible obstacles." 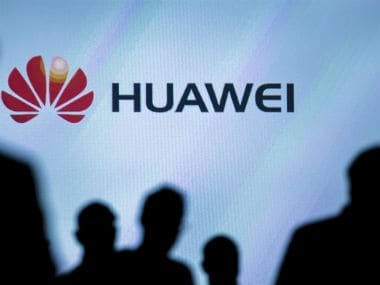 In 2017, Huawei was the world's third-biggest seller of smartphones after Samsung and Apple, holding a 10.4 percent market share, up from 9.5 percent a year earlier, according to figures from research firm IDC.